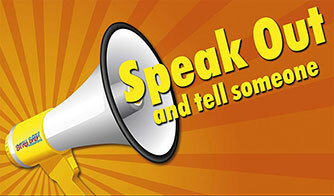 Speak Out and Tell Someone! Throughout our work with young people, we try to give out the easiest, most practical and realistic advice possible. Nothing ticks more boxes than The Golden Rule. Whether its taking the first steps on the ladder into getting help from bullying, being worried about unwanted online interaction or just a concern regarding peer pressure. The Golden Rule helps with them all. 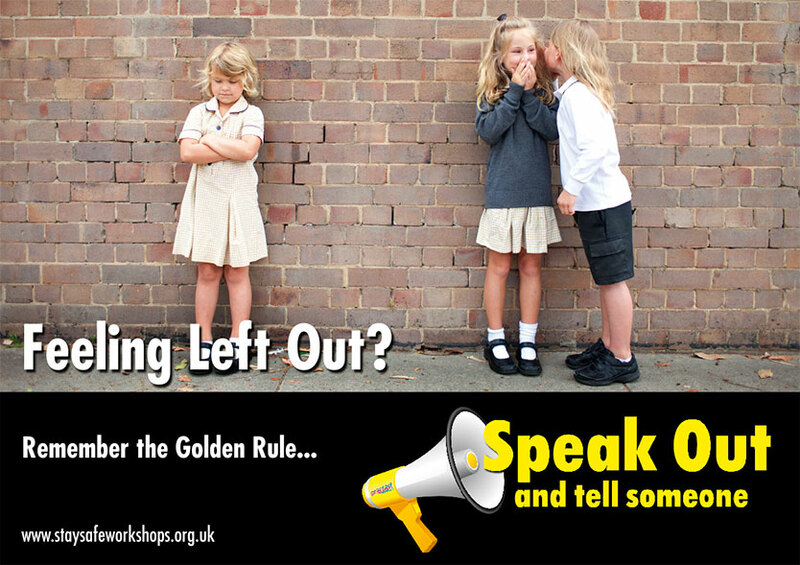 During all our workshops and assemblies we regularly mantra The Golden Rule…….Speak Out and Tell Someone. Even though our work is largely based on helping young people to make the correct decisions in many aspects of their lives, we cannot discard the fact that they may often need a helping hand from us adults. Helping them understand the importance of The Golden Rule, reinforces to them that no matter how big or small the worry or concern is, help is always nearby. It’s important to us that all young people know how and why The Golden Rule should be used. Obviously for most children speaking to a trusted adult usually starts at home, however unfortunately not for all. But nevertheless all young people need to know that going to The Golden Rule can be easy for them. Whether it’s speaking to a parent, family member, favourite school teacher, football coach or even guitar instructor, children should know help from a trusted adult is usually just around the corner. We advise parents / carers to talk to their children about the ‘Golden Rule’. When young people know help is there awaiting them if needed, it can sometimes make that first step a little bit easier. Getting Bullied? Go to ‘The Golden Rule’! Worried about a friend being bullied? Go to ‘The Golden Rule’! Having a bad day at school? Go to ‘The Golden Rule’! Worried about a upcoming test? Go to ‘The Golden Rule’! Put something online you now regret? Go to ‘The Golden Rule’! A stranger has tried to contact you while plaiyng the X-Box? Go to ‘The Golden Rule’! Unsure if you should or can do something with your friends? Go to ‘The Golden Rule’! Worried about something that happened today at school? Go to ‘The Golden Rule’! In fact worried about anything…..BIG or small? ……….you get the idea! Hopefully the more young people hear this and understand this we will have less of them worrying or even worse suffering in silence. Please spread the word and more importantly spread ‘The Golden Rule’ for us. Maybe even put up one of our posters below. Written by Richard Pomfrett, Stay Safe Workshops.